sweater is then worked in the round. Stitches are picked up around the neckline to work the shawl collar, which is knit flat using short rows. The bottom edges of the collar are sewn onto the body. The sleeves are worked in the round. 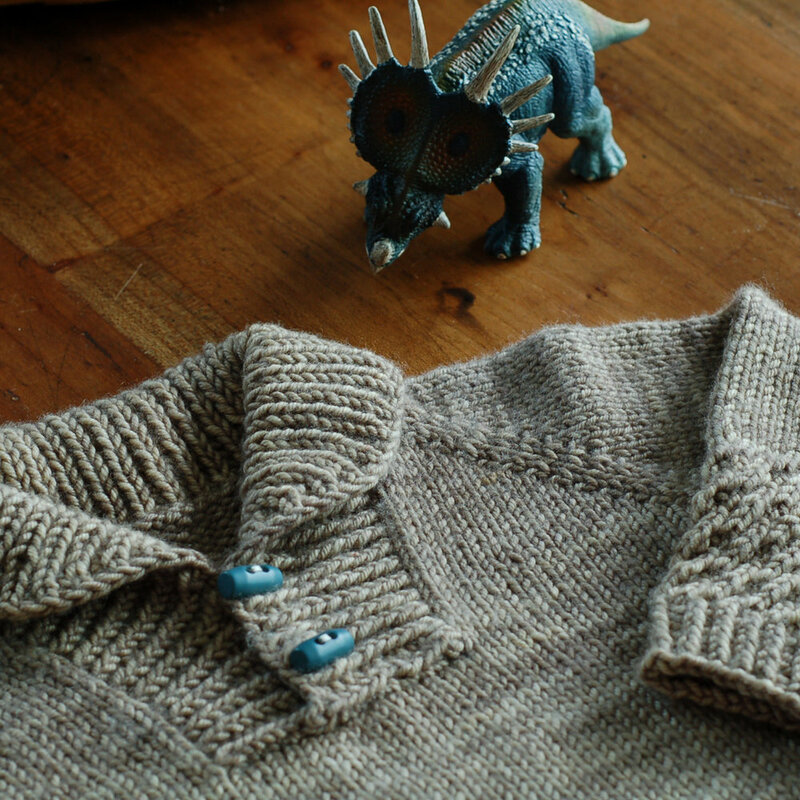 Shawl collars are always nice and cozy under a coat -- especially for children who, like mine, adamantly reject scarves… Designed to be relatively close-fitting, this sweater won’t add bulk under a jacket. The twisted rib detail and a fun (and easy!) texture stitch add a bit of sophistication. Comfort and style! Approximately 275 (300, 350, 400 // 450, 550, 600, 700) yds or 251 (274, 320, 366 // 411, 601, 549, 640) meters of worsted to dk weight merino or merino blend yarn.